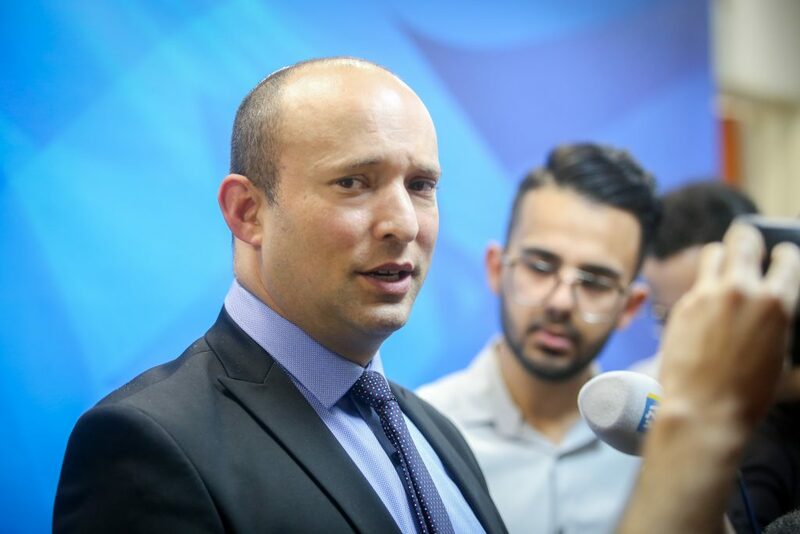 The University of Michigan came under fire from Diaspora Affairs Minister Naftali Bennett on Tuesday for allowing the display of anti-Semitic material at a campus lecture, The Jerusalem Post reported. A slide showing Adolf Hitler and Israeli Prime Minister Binyamin Netanyahu side by side, with the words “Guilty of Genocide” was displayed at a lecture given by Emory Douglas at the Penny Stamps Speaker Series – Stamps School of Art and Design at the university. The university reportedly defended the lecture presentation on the grounds that it was “intentionally provocative and the school is clear with students about this,” and that the university does not “control or censor” what lecturers say. A spokesperson said the administration would reply to Bennett privately. The minister also cited a Washington Post report which alleged that a faculty member refused to grant a letter of recommendation to a student seeking to study in an Israeli university. The university had no commenton the incident. According to the Post report, an associate dean of Secker’s school met with the student and offered to write a letter of recommendation. “I feel the time has come for you as head of the university to [take] a strong stand against what has clearly become a trend of vitriolic hatred against the Jewish state on your campus,” said Bennett.